Hey everyone! Hope the Summer has been going well. I know it’s been a hot one as of late! This week I had the opportunity to talk w/ Circa Nicky, one of the most prominent KI Players on the Tournament Scene as of late. Hope you enjoy! Colt Yohman- Tell us about yourself. Nicky Iovene- My name is Nicky Iovene, I’m a soon to be 21 year old from West Haven, Connecticut. I am a regular guy with a not so regular hobby. CY – What got you into playing Killer Instinct? Were you a fan of the original before getting into the new Killer Instinct? NI – I got into Killer Instinct for the Xbox One through my longtime friend Cheatcode. He initially got me into fighting games around 2013, and when the new KI was revealed for the first time, he and I were very excited to try it out. I had never played the original games before, but I played them both after they were re-released for the Xbox One, and I love them. The music, art style, and gameplay is its own entity, and cannot be compared to any other fighting game. CY – What made you decide from the beginning to pick up Fulgore as your Main Character? Have you ever considered switching your Main? NI – I started playing Fulgore the very day he came out in Season 1. Before that, I played Jago, Orchid, and Sadira, but felt that I never truly connected to those characters. I fell in love with Fulgore when I first got my hands on him. His appearance, move set, sound effects, and animations are still very satisfying to me. Being able to teleport around the screen, throw fireballs, shoot lasers, charge across the screen, and unleashing the hype beam have become a staple in my gameplay. He is a very busy and hard to use character, and I feel as though I’ve created an identity for myself through him. Since there aren’t very many notable Fulgore players, I believe that I have inspired up and coming Killer Instinct players to try to use the character. I DO love using multiple characters in this game, I wouldn’t enjoy it otherwise. But when it comes to competition, I will forever only play Fulgore. CY – Was there a “breakthrough” moment for you where you gained the confidence to compete at a higher level? When did that happen for you in KI? NI – I always knew that I wanted to be one of, if not, THE BEST player. Players like CDjr, Justin Wong, PR Balrog, Guttermagic, and Rico Suave have all inspired me to want to be on their level. During Season 1, I knew that it would take a lot of time, dedication, and effort to reach the heights of these players. When Season 2 initially dropped, there was a point where I almost gave up, and felt that I wasn’t ever going to be where I wanted to be in this game. Consistently placing outside of Top 8, and not doing well online had really put a sour taste in my mouth, and I wasn’t sure what was stopping me. CY – You have always been a top competitor for as long as I can personally remember in KI, but you seem to have really elevated your game and have been placing in the Top 3-5 in basically every tournament you entered ever since Season 3 started. What changed for you personally with Season 3 that helped you so much? NI – The first day that I played Season 3, I knew that I was going to be able to reach my full potential. I worked out as many kinks as I could, and tried to solidify my gameplay by creating a proper balance between solid fundamentals, hard reads, and risk/reward. 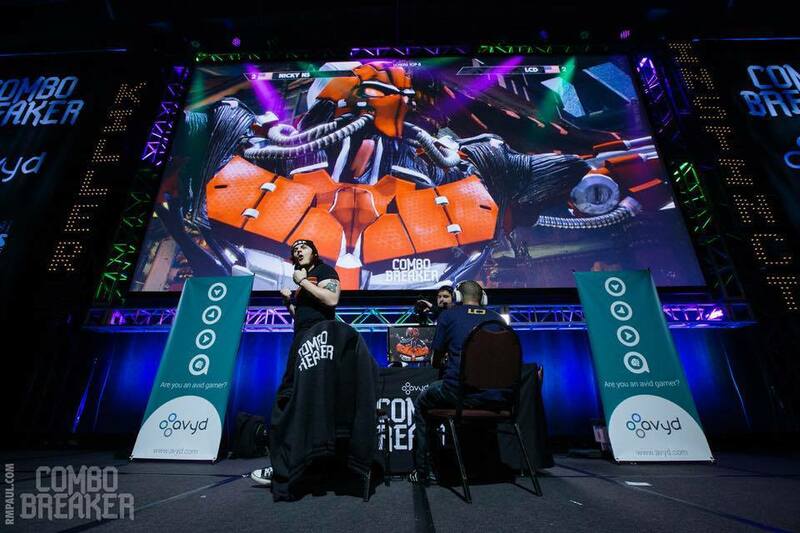 After making it to grand finals at Combo Breaker this year, I finally felt like I was ready to be considered a “top player”, and I have been riding that momentum right along. Season 3 didn’t change my character very much, and it didn’t change my match-ups either. With the changing of the seasons, I changed as a player. I stopped feeling sorry for myself, and started making improvements. I wrote down a list of goals, and I smashed through them all. I was motivated from all the negativity that I received, and felt that the community was “sleeping on me”. I just HAD to prove everyone wrong. Here I am, continuing to show that I am right where I belong. CY – Additionally, you’ve recently been picked up by Circa eSports. What has that experience been like? NI – Being a part of Circa eSports has changed my life. I always wanted to travel to events like CEO, EVO, and several cross country majors. Being in the northeast, it was very difficult for me to attend majors in the Midwest, and further down south. 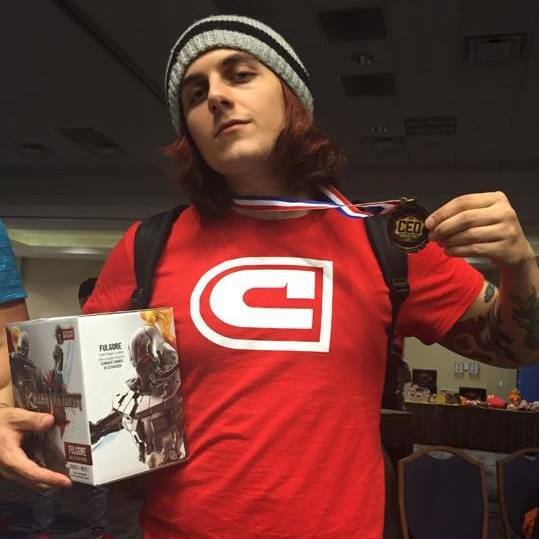 For CEO 2015, I took a 24 hour van ride from Harlem NY and BACK, just to place 9th. For TFC 2015, I took a Greyhound Bus down to North Carolina for 17 hours, coming home with less than $5 in my pocket. I was a road warrior for the majority of my competitive career, and I had no choice. With Circa backing me, I am able to accomplish everything that I wanted to do for years now, and I am forever grateful to have a team that is as caring and supportive of me as they are. Without them, I wouldn’t be as successful. CY – Have any advice for upcoming players in KI? How do you usually prepare for a tournament? NI – My best advice to up and coming tournament players is to learn from your losses. ALWAYS watch your replays, and analyze situations where you went wrong. It’s very difficult for me to do this myself, because I have very high expectations for myself, and I hate being in the wrong. But it is only human that you make mistakes, and learning from them is the best thing you can do. CY – What are your thoughts on the Community Survey that was sent out a few weeks ago? What did you request for on it? NI – For the community survey, I would LOVE to see more original content from Iron Galaxy! They did a wonderful job with Mira, Hisako, Aria, Aganos, and more. Please continue to make this game great. CY – Anything else you’d like to tell your fans or give thanks to anyone? NI – I would like to thank all of my family and friends, who have supported me since I started doing this in 2014. It’s not a very easy thing to explain to those who are unfamiliar with “pro gaming”, so I am glad that they understand that I travel the country to play video games. I would also like to thank Circa eSports for giving me the opportunity of a lifetime, and being able to let me show my craft to the world. And thanks to Iron Galaxy, and the KI community for everything they have done for the love of this game. We all just love Killer Instinct, and we should support this game no matter what.